Amidst the tsunami of reissues these days sometimes a real surprise comes through. In this case, the blast from the past is the first release of British AOR gents After Hours named Take Off. In advance of their forthcoming new album, Against the Grain, AOR Heaven has saved Take Off from a life under layers of dust. The record, originally recorded in 1988, was digitally remastered by Chris Lyne, and sounds very good for a 20 plus year recording. But having said that, I don�t own the original copy, so I cannot compare the two. After Hours emerged in Southampton UK in the late eighties and had a number of personnel changes before they finally recorded Take Off. The line up consisted of vocalist John Francis, Tim Payne on guitar, Martin Walls on bass, Mark Addison on drums and Andy Nye on keyboards. There was a second, self-titled album, a year later, but that one disappeared into obscurity with talk of a few cassette tapes left in German second hand stores. But if this lost one is as good as Take Off, I�m keen to check it out. Maybe AOR Heaven can find and reissue this one as well. Take Off may be a short affair with just 9 tracks, but it proves again that quality always prevails over quantity. There are simply no bad tracks on this disc. Love Attack opens the album, and with Better Late Than Never, Another Lonely Night, The Game and Take Off we are listening to arguably the best bunch of AOR tracks the UK has produced in those days. Power, purpose, great guitars, great (harmony) vocals, blazing keys it's all there. This is quintessential AOR with that mesmerizing eighties feel. The Stones cover Paint It Black and Rock and Roll are also well done, but are not my personal favorites. Two ballads complete the album. Without You would have been a huge US hit if done by Journey. The extremely melodic Stay By My Side deserves a special mention. Instantly, this song brings back memories of the Moody Blues, but in AOR fashion. It�s a stunning track that proves what a great singer John Francis was and, hopefully, still is. He reminds me very much of Steve Perry, his counterpart from Journey. Maybe the forthcoming new album will finally bring the recognition and success to After Hours' that Take Off never received back in the Eighties. This band deserves it. To anyone who enjoys that special eighties sound and prefers bands like Shy, Strangeways, Magnum and FM, I can only say: Get After Hours' Take Off as soon as you can. But hurry up, the number of copies is limited to no more than 1000. 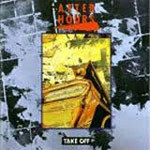 To anyone who enjoys that special eighties sound and prefers bands like Shy, Strangeways, Magnum and FM, I can only say: Get After Hours' Take Off as soon as you can. But hurry up, the number of copies is limited to no more than 1000.